To ensure your sprinkler system will operate correctly at all times it is a requirement of the British Standard that it is maintained and subject to an annual service. On completion and commissioning of a fire sprinkler system, the details of the system are added to our servicing database. 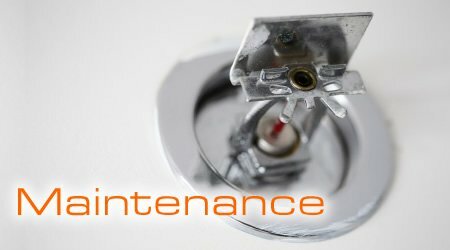 Approximately four weeks before the system requires a service, the person responsible for the sprinkler system will be contacted to remind them that the system now requires a service. Servicing costs vary from £100 + VAT for small dwellings up to three bedrooms, to £300 + VAT for a 60 bed care home, (prices correct as of November 1st 2016). the head still covers the protected area, i.e., has there been any modification to the room that has caused a blind spot from the sprinkler head. Following the service a new commissioning certificate will be supplied and the log book signed. If the service fails or requires remedial work, a full report will be issued.